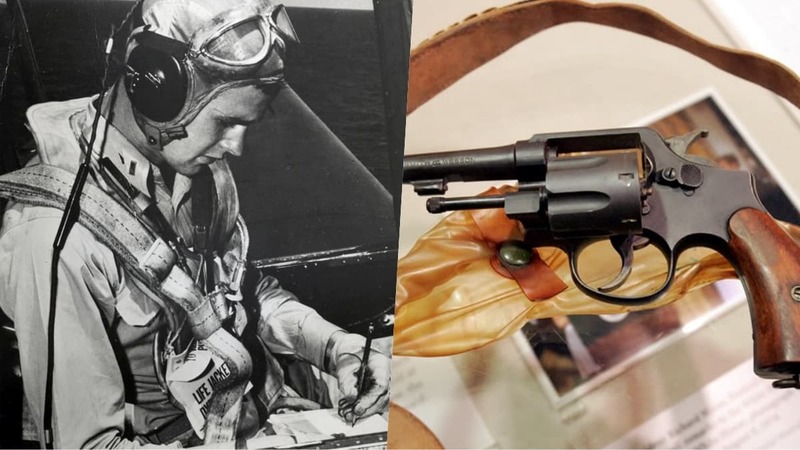 With the recent passing of the 41st President, the story of the handgun he carried as a young Navy pilot in World War II deserves a look. 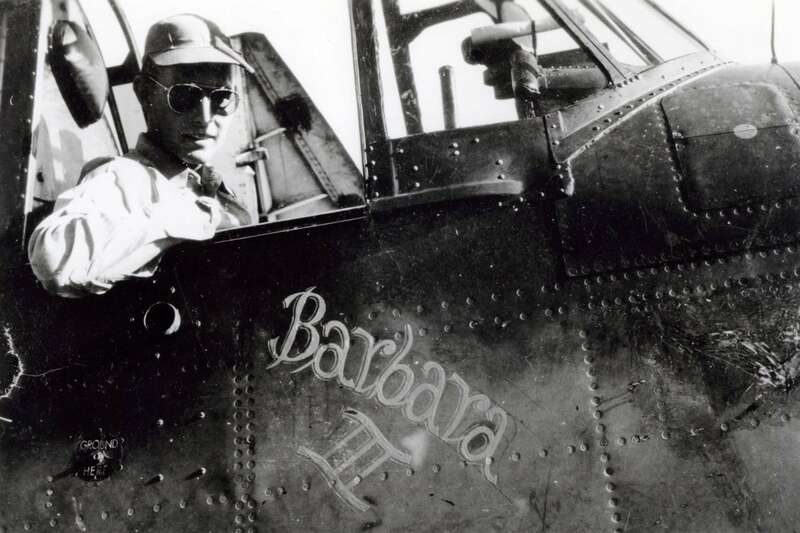 Enlisting on his 18th birthday in 1942, the U.S. Navy notes that Bush volunteered for the service just six months after the Japanese attack on Pearl Harbor and was soon accepted into a pilot training program. 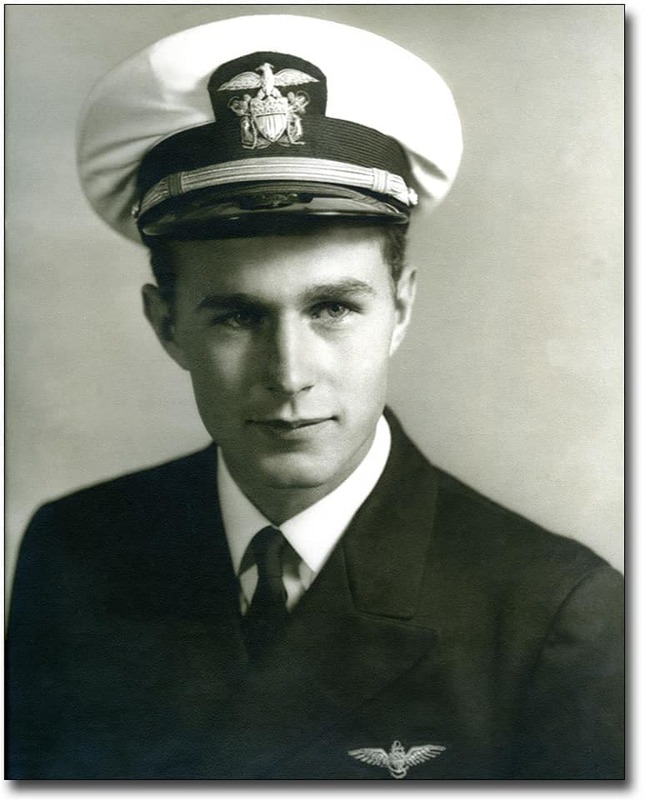 Before he saw his 19th, Bush was commissioned as one of the youngest naval aviators and soon shipped out for the war in the Pacific on the light aircraft carrier USS San Jacinto. Flying a TBF Avenger torpedo bomber, Bush’s aircraft was one of a flight of four assigned to attack Japanese units on the island of Chichijima, about 150 miles north of Iwo Jima. 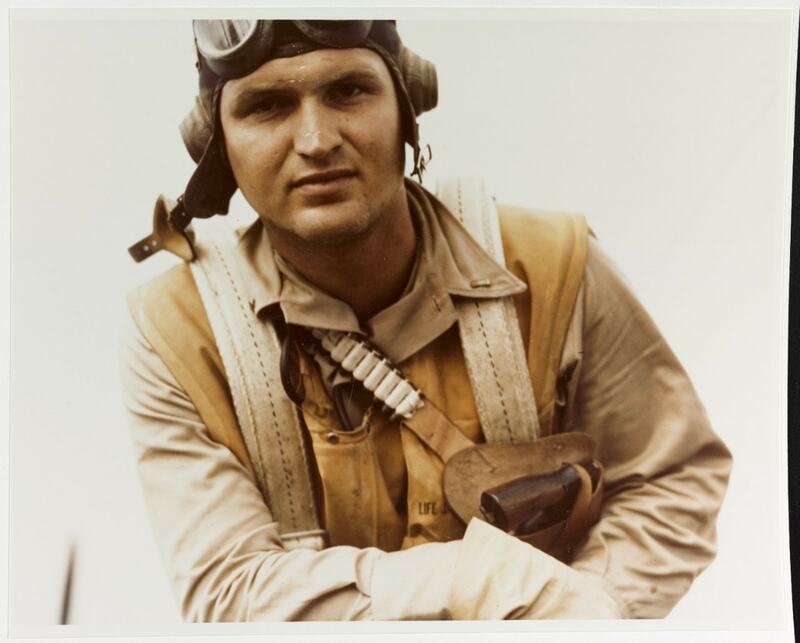 Targeting an important radio station, Bush’s aircraft was hit by ground fire and, his engine aflame, headed out to sea back towards the U.S. fleet, desperate to reach his carrier again. Ditching his crippled aircraft, Bush was picked up by a U.S. submarine, the USS Finback. Others were not so lucky. His two crewmen in the Avenger were killed while aviators who were shot down and reached the isolated island were later found to have been killed and partially eaten on the order of Japanese officers. 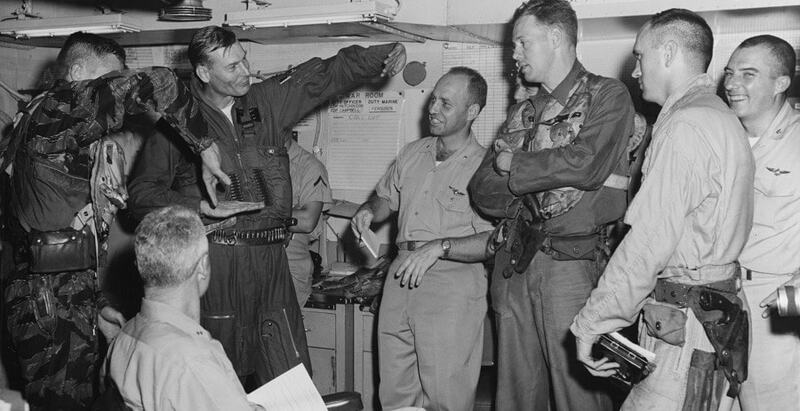 The crew of the Finback held on to their soggy aviator for a month while they picked up other downed aircrew on what were termed “Lifeguard” missions, sharing a bunk on the cramped submarine with one of the boat’s officer’s, Lt. Albert Brostrom, taking turns. “It was a little grubby in there, but that’s how it was done in those days,” Bush would later say. The military had long-issued sidearms as part of aircrew survival gear in case they had to bail out over questionable territory, a practice that continues to this day around the world. Readily available at the start of WWII, Smith & Wesson’s “pre Model 10” K frames, the 1899 Hand Ejector (which evolved to the M&P series) had been in production for generations and the U.S. ordered these so-called Victory revolvers in .38 S&W for Lend-Lease to Allies, and in .38 Special for use by aircrew and factory/home guard use. Fast forward and Bush, who returned to San Jacinto, completed 58 combat missions and received the Distinguished Flying Cross. Leaving the military, he later became an oilman, went to Congress from Texas, was Ambassador to the UN under President Nixon, served as a special envoy to China, was head of the CIA under President Ford, was elected Vice President under President Reagan, and, in 1988, President. 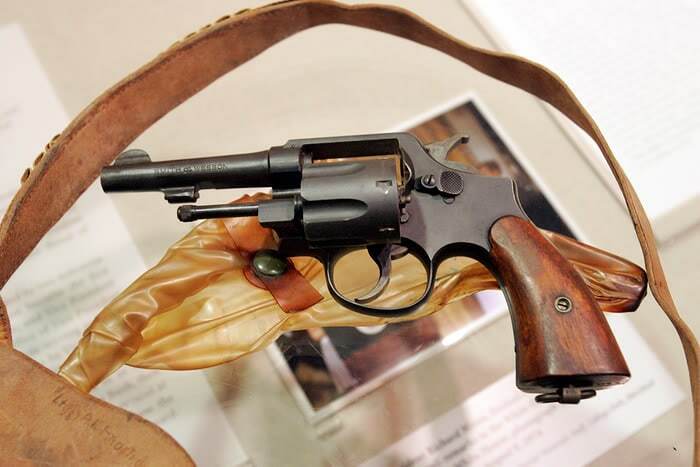 Brostrom, who died in 1983, told his family about the old Smith & Wesson revolver he got from Bush and, in 2007, his son Ron Brostrom presented Bush with the vintage .38 at the Constitution Center in Philadelphia. Bush reportedly donated the revolver to the Center.